"Rattle That Lock" is the new solo album by David Gilmour, the voice and guitar of Pink Floyd. This is David's fourth solo album, and the first since 2006's # 1 album "On An Island". 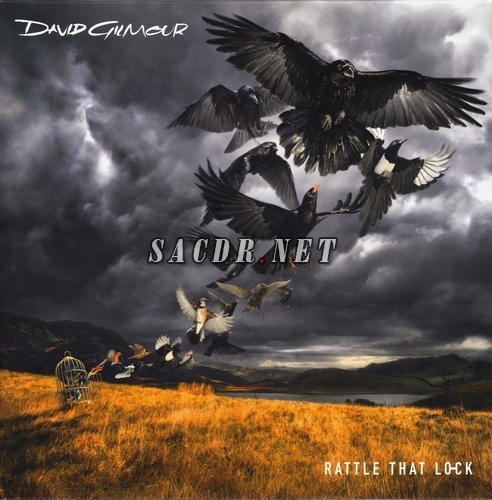 The primary lyricist for "Rattle That Lock" is Gilmour s long-term writing partner, Polly Samson, and the album is co-produced by David Gilmour and Roxy Music s Phil Manzanera. The album's striking cover has been art directed by Dave Stansbie. The lead single of this album is the title track, "Rattle That Lock". The song begins with the four notes, created by Michael Boumendil, which precede announcements at French SNCF railway stations which Gilmour recorded on his iphone at Aix station. Samson s lyrics are inspired by Book 2 of John Milton s Paradise Lost, which is also featured in her recent acclaimed novel, The Kindness. The single also features the Liberty Choir and singers Mica Paris and Louise Marshall. Hot on the heels of the incredibly successful release of Pink Floyd’s The Endless River, David Gilmour returns with his new 5th solo album, ‘Rattle That Lock’. One of Rock N’ Roll’s seminal front men and guitarists, and ranked by Rolling Stone as the #14 Greatest Guitarist of All Time, Gilmour is known for his pivotal involvement as the lead singer and guitarist of Pink Floyd – a band that has sold 250 million records worldwide. ‘Rattle That Lock’ is loosely based on a ‘day in the life of’, ranging across the myriad of thoughts and feelings that all of us have in the course of a single day: a mixture of both personal and worldly.